Since 1997, CRUXWELD has been contributing to the professional and technical development of the welding world. We placed heartfelt gratitude to our customers for their uninterrupted trust from the last two decades for our welding machines. We are approvingly dedicated for quality of global standard in welding equipments. We are one of the leading welding machine manufacturers in India. 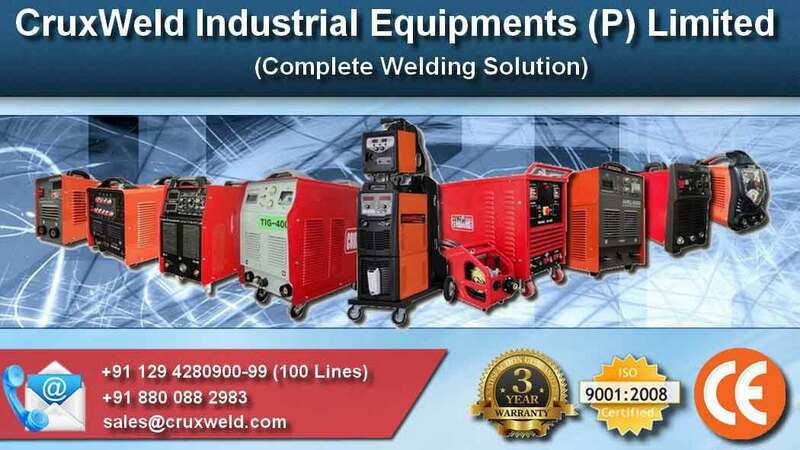 Our product range includes Arc Welding Machine, MIG Welding Machine, TIG Welding Machine, Spot Welding Machine, DC Rectifier, Plasma Cutting Machine, Inverter Welding Machine, Portable Welding Machine & Welding Automation. We are immersed in manufacturing and supplying qualitative range of welding machine and cutting machine. Our plasma cutting machines are developed by using refined grade raw material and advance technology. Our optimized, customized & designed welding equipments ensure low power consumption at 100% duty cycle. Ph: +91 129 4280900-99 (100 lines), +91 880 088 2983, Email: sales@cruxweld.com. Contact us for any technical & expert assistance related to welding machine and cutting machine. We are committed for enormous pre-sale service, preventive and post sale service and also accessible to serve you round the clock for your any & every need related to welding.